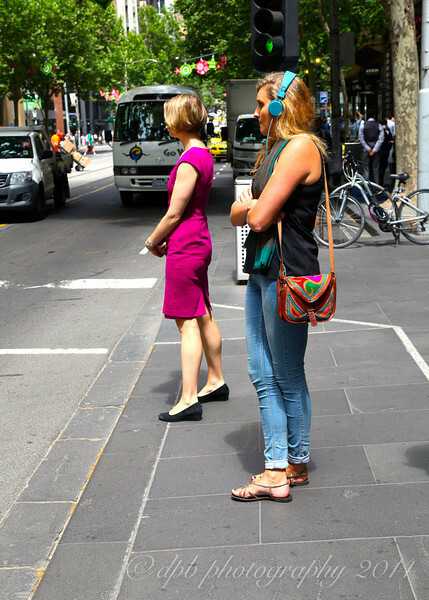 These attractive women are waiting for the traffic lights to change. It's very common to see people lost in their own world of sound. This is OK on trains and trams, but very dangerous when mingling with traffic.